Stroi-Sped AD was established in 1999. 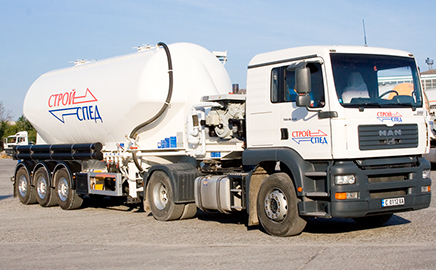 The main activity of the company is road transport. We have tugs and tanks for bulk transport, equipped with a compressor for unloading, tugs and dumpers for bulk cargoes, tugs and semitrailers for transportation of packed loads, concrete trucks with a volume from 7 m3 to 10 m3 and 34 m and 39 m concrete pumps. 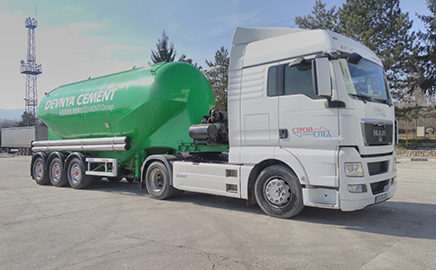 The company has its own service for bulk tanks, semi-trailers and MAN trucks. Stroi-Sped AD offers a wide range of transport services for different types of cargo. We have tugs, specialized semi-trailers, bulk tanks, dump semi-trailers for the transport of inert materials, asphalt, limestone, as well as board trailers for transporting packaged loads – palletized, big-beg and others. Contact us to offer you the most appropriate option for transporting your cargo depending on its volume, type, packaging and destination. We offer GPS tracking of the cargo. 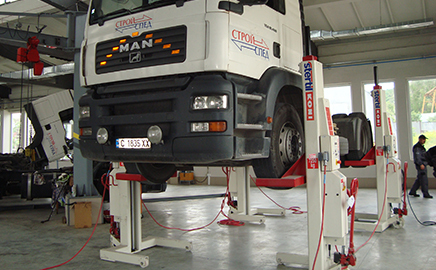 Stroi-Sped AD has its own service center specializing in the repair of MAN trucks, FFB, Baryval, Ardor, semi-trailers, Betico compressors, SAF and BPW axle repairs, fully equipped for engine diagnosis and repair. MAN cars, gearbox repair, chassis and bridges repair, brake system diagnostics and repair, truck bridges, semi-trailers and towing brackets, we have a stand of the Swedish company JOSAM. 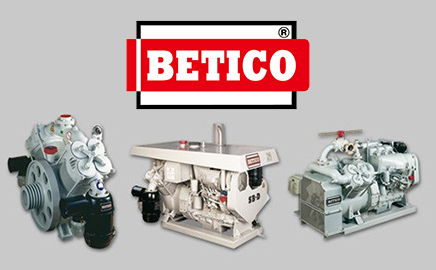 BETICO is a trademark of the Spanish company MIGUEL CARRERA Y CIA., S.A., which has traditions in the production of high quality air compressors since 1925. The factories of the company are located in the city of Vitoria and BETICO in the Basque language means FOREVER. The BETICO SB series is a low-pressure, high-pressure piston air compressor designed for pneumatic conveyance of granular and powdered products. Stroy-Spade has a service station and spare parts for the BETICO compressors. Stroi-Sped AD offers a wide range of transport services for different types of cargo. We have tugs, specialized semi-trailers, bulk tanks, dump semi-trailers for the transport of inert materials, asphalt, limestone, as well as board trailers for transporting packaged loads - palletized, big-beg and others. © 2018 Stroi-Sped AD. All rights reserved.